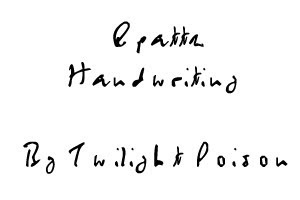 Head over to TwilightPoison.com to download a font based on autographs from Rob. How cool is that? Not sure where I'll use it in my scrapbook, but I'm sure it will find a place somewhere!